Manchester United have recovered from their two back-to-back Premier League defeats with a statement victory over the reigning Premier League Champions Leicester City. Chris Smalling, United’s captain on the day, opened the scoring for the Red Devils by heading in a corner by Daley Blind in the 22nd minute. The 20-time English Champions then scored three quick-fire goals in the space of 5 minutes just before half-time, which involved a brilliant finish by Juan Mata, a tap-in by Marcus Rashford, and a first United goal for star man Paul Pogba. 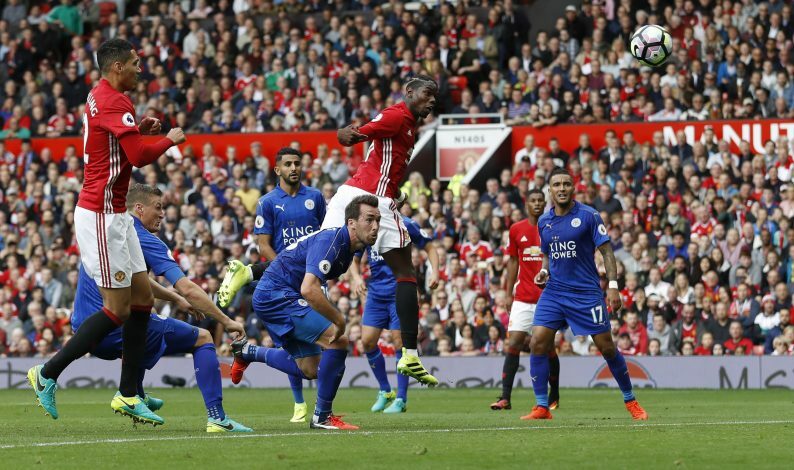 United cruised through the second half, despite the Foxes pulling one back via Demarai Gray’s sensational strike. Mourinho’s men now stand 3rd in the League table with 12 points, whereas Ranieri’s team are down to 12th with just 7 points and 3 league defeats already. Not seeing quite so many 'Pogba's such a waste of money' tweets today. Claudio already concentrating on the Champions League. Resting Mahrez and Vardy is shrewd management. Juan Mata's been perfect this afternoon. Really done well in linking midfield and full-backs into attacks. Number 10 position should be his. Man United fans when Pogba scored. Absolutely the players came with a great crasma, they were all ready for the game. really man. united was prefect as steam .luvelly play. tnx u José.